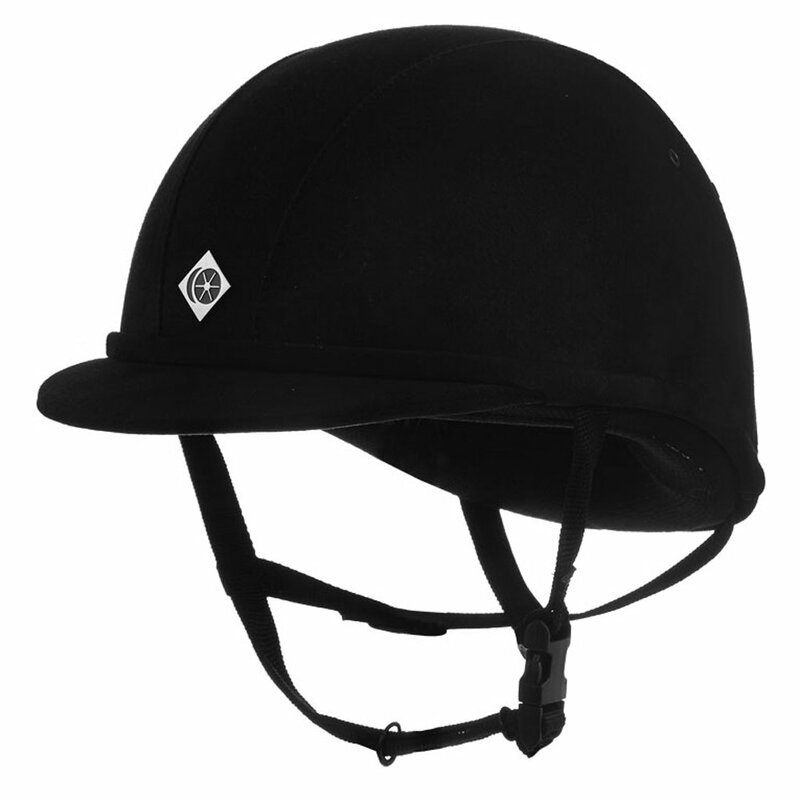 The Charles Owen YR8 Riding Hat is a stylish microfibre hat similar in style to the Charles Owen AYR8 Hat but with a fun Charles Owen lining. This riding hat forms part of the youth collection but is also suitable for adults as a full range of sizes is available. The YR8 features four discreet ventilation holes to help keep the head cool with a webbing harness and stylish Charles Owen branding on the front. The Charles Owen YR8 Hat comes with a free SOS card and is packaged inside a fun Charles and Owen box.